Da Camera celebrates its 30th anniversary season “No Place Like Home” with Beethoven For All, a free Beethoven string quartet cycle for the people of Houston. The initiative takes inspiration from the Beethoven cycle performed by the Juilliard Quartet during Da Camera’s first season in 1988­–89. Performances will take place throughout the 2017­–18 season in a variety of venues, from museums and performance halls to schools and hospitals. Beethoven For All kicks off with the Houston debut of the New York Philharmonic String Quartet, performing at the 24th Annual TransCanada Theater District Open House on Sunday, August 27 at 3 p.m. in Cullen Theater, Wortham Theater Center. 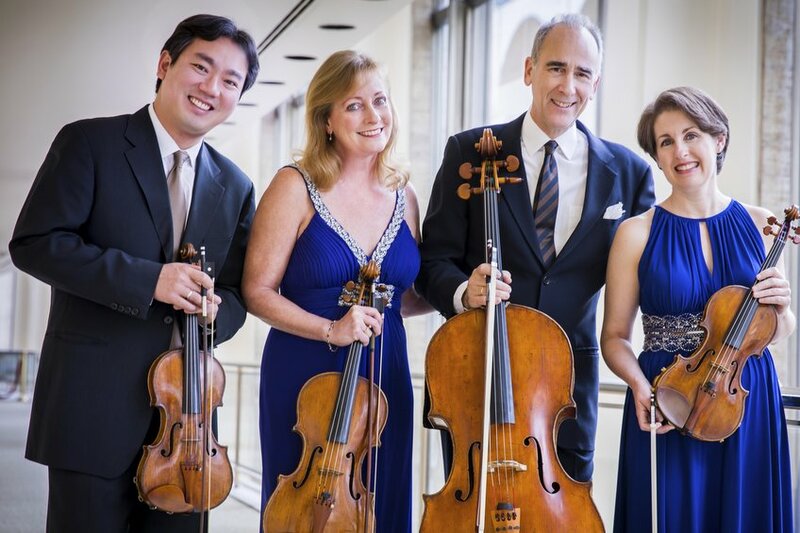 The ensemble comprises four principal musicians from the New York Philharmonic: Frank Huang, concertmaster and former Houston Symphony concertmaster; Sheryl Staples, principal associate concertmaster; Cynthia Phelps, principal viola; and Carter Brey, principal cello. In addition to the New York Philharmonic String Quartet and Harlem Quartet, Da Camera taps current and former members of the Da Camera Young Artist Program for the Beethoven For All initiative. Featured ensembles include a quartet made up of current Young Artists and three quartets featuring Young Artist alumni: Axiom String Quartet, Apollo Chamber Players and Terra Nostra String Quartet.